In my first attempt using Juka’s Organic red palm oil, I made some yam pottage with it. The oil smelled sweet and the color was the most brilliant shade of red I had ever seen. The yam pottage tasted differently from the others I had ever made. The taste was deliciously inexplicable. Sweet spot confirmed! 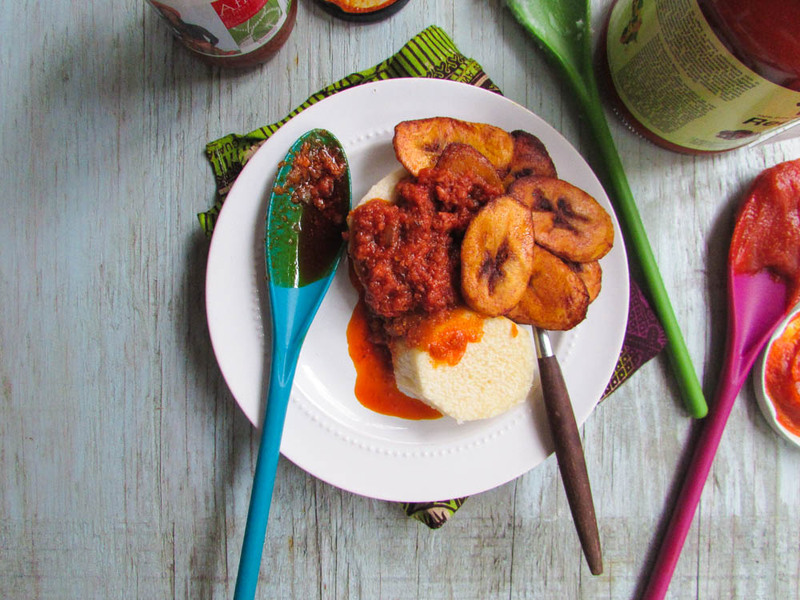 I thought I was enjoying palm oil until I tasted Juka’s Organic palm oil. Now I hide my Juka’s oils in my pantry make story no enter abeg. After tasting these oils, I knew I had to talk to Juka and not only is she a beautiful human being, but her story is one every woman has to listen to. Nlc: Who and what is Juka? Nlc: You said you’re an activist. What area of activism do you have a passion for? Nlc: Are your parents Gambians? Nlc: How many siblings do you have? 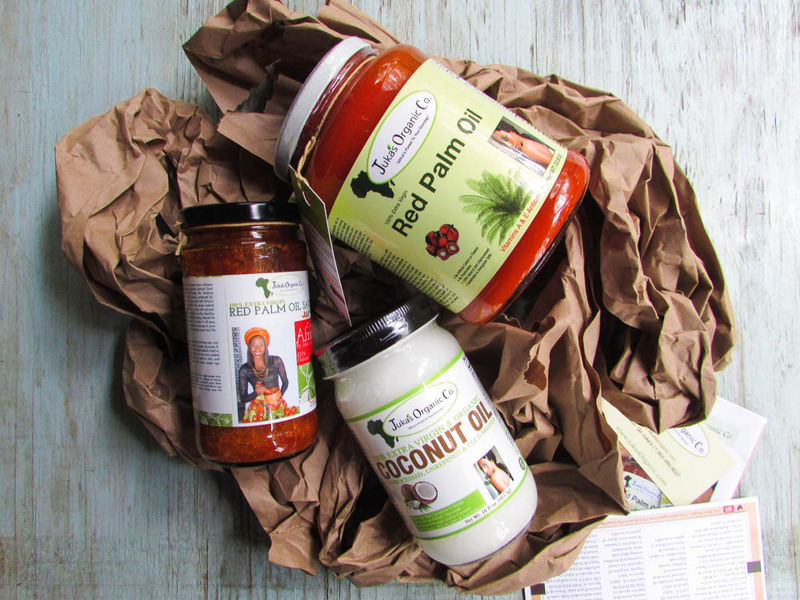 Nlc: What made you start Juka’s Organic? Nlc: what states and stores can we find your products? Juka: “Texas, New York (Manhattan, Bronx, Brooklyn, New Jersey), Arizona, Las Vegas, California (Los Angeles & San Diego), Canada, Singapore or they can get it from Walmart.com or Amazon.com You can also visit us on our website for partner store locations www.jukasorganic.com Or on all social media platforms with the handle, Juka’s Organic Co.
Nlc: Are all your oils in glass bottles? Nlc: what did you study in university? Juka: “Accounting and business. I also worked as a model with Wilhelmina models in NYC for three years and went back to California. I was very lucky I must say, as a model and TV commercial actress, I did around 20 national commercials. My first national was booked with Virgin mobile in NYC and after that it just took off. I did American Express, T-Mobile, MasterCard, Dell, Saab car commercials, Axe deodorant AT&T and so many more that I still can’t believe it when I look back. Nlc: Are you still in the industry? Juka: “No. I don’t have the time to stay in the industry at this moment as I have to focus on growing Juka’s Organic Co. I remember I had to always put a sign up my store to let customers know I was coming back so I could go to my auditions. I was very attached to the store, it was my baby and closing it was one of the hardest things I had to do. I worked so hard, with getting all my permits and all the investments but I believe closing it was a blessing in disguise. It certainly opened a new door. Nlc: Where do you see yourself in the future? Juka: “I see myself working with more countries in Africa. I would like to see an expansion into more states and more stores in the U.S.A. Africa is one of the biggest continent in the world yet our food is not noticed by many. 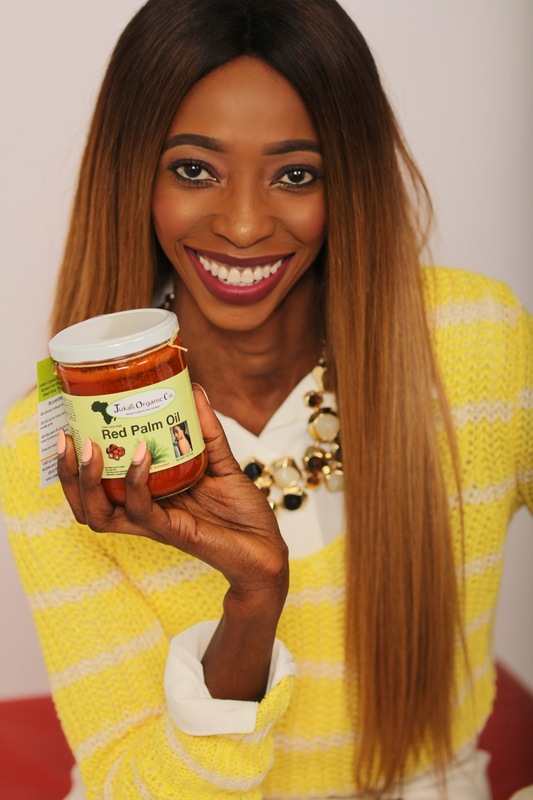 My goal is to bring Africa to mainstream through our healthy foods and beauty products. Nlc: Is there anything you’d want people to know about you? A good one… I have always loved palm oil and will always do. In Nigeria, nmanu orasi (orasi red oil) is the best! The key is eating it in moderation. But where can one find Juka’s oil? I like Juka’s. It tastes very earthy. You can tell the difference in the oils if you experiment with different types.